In addition to face detection and tagging, Lightroom CC/6 includes new panorama, HDR (high dynamic range), as well as significant speedups. According to Adobe, the new version renders some effects thousands of percentage points faster: For example, on a Microsoft Surface Pro 3 $1,149.00 at Amazon, the Exposure adjustment is claimed to be 2,704 percent faster, and the Distort effect is a jaw-dropping 7,931 percent faster. Along with the updates to Lightroom for desktop Windows PCs and Macs, the Lightroom mobile apps for iOS and Android have been updated with a segmented view that groups photos by date, an easier method of star-rating photos, improved crop, and copy-paste for adjustments. PCMag spoke with Sharad Mangalick, Adobe Senior Product Manager for Photography, in advance of the release. Mangalick noted that smartphones and tablets have changed the landscape of photography, with not only capture but editing and organizing starting to be done on the mobile devices. In some cases, that results in harmful effects to workflow, with each app downsizing JPG files and getting more compressed. "What we're seeing is an opportunity for Adobe to step in and streamline the workflow and clean it up so that photographers, whether you're pro or very casual, can have the best output with the highest quality and have it be really simple to use," he said. Early attempts at mobile versions of Lightroom were wanting in some ways, but Mangolick says the goal is to get mobile and desktop work like the same product. To view synced photos and comments, visit lightroom.adobe.com. 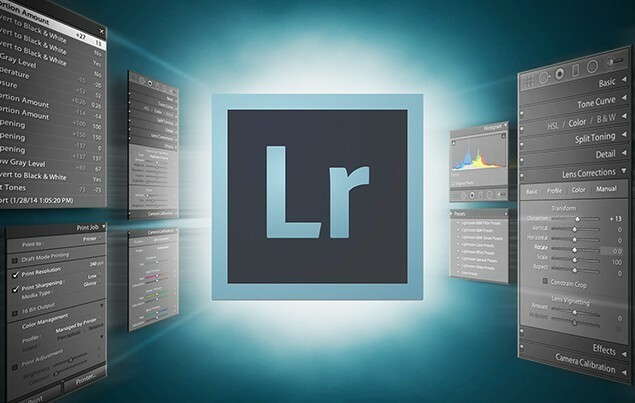 For an in-depth look at what Adobe's pro photo workflow software has to offer, read PCMag's review of Lightroom, which will be updated with the changes shortly. You can purchase Lightroom 6 from Amazon, B&H Photo and Adorama.